Peter Sellars will be introducing two films he commissioned, Opera Jawa at 12:30 pm at the Castro and Daratt at 2:45 pm at SMOMA. He'll also be giving the State of Cinema address at 4 pm at the Kabuki. Wonders are Many screens several more times. at 6 pm and Wonders are Many screens at 9 pm. Steve Kurtz, the subject of Strange Culture gave a talk about his work with the Critical Art Ensemble at SFMOMA in March and then Lynn Hershman Leeson showed a few scenes and outtakes from the documentary about Kurtz and the government's Kafkaesque criminal prosecution of him. Jon Else's the Wonders are Many tells story of the creation of the atomic bomb and the creation of the opera, Doctor Atomic. 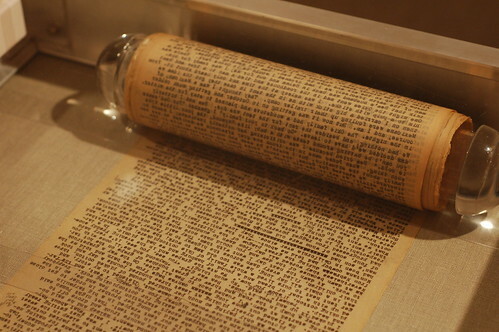 At a workshop at the UC Berkeley Graduate School of Journalism (where he chairs the documentary program), he said a lot of new material has come out since the Day After Trinity was released in 1981. Doctor Atomic even uses the text of recently declassified material as part of the libretto and Wonders includes footage of atomic tests which have never been seen before. Composer John Adams and director Peter Sellars (who is also giving the State of Cinema address Sunday at 4 pm at the Kabuki) will be at tonight's screening. Judy Stone wrote about Wonders for the LA Times and Michael Fox interviewed Else for SF360. I interviewed Else about his previous documentary on opera, Sing Faster. Both fillms are showing several other times at the festival. Every year, the San Francisco International Film Festival asks a musician (or band) to compose a score for a silent film. 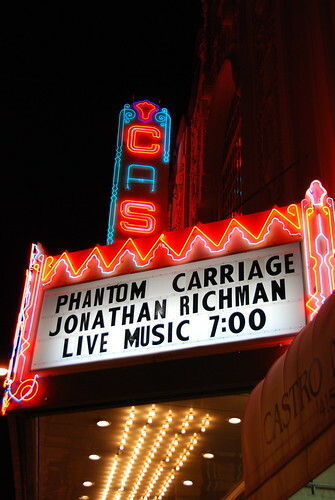 This year, Jonathan Richman (who lives in Glen Park) has chosen The Phantom Carriage which will be shown on Friday, April 27th at 7 pm at the Castro. It is too bad The Old Weird America: Harry Smith's Anthology of American Folk Music wasn't ready to play at last year's festival. 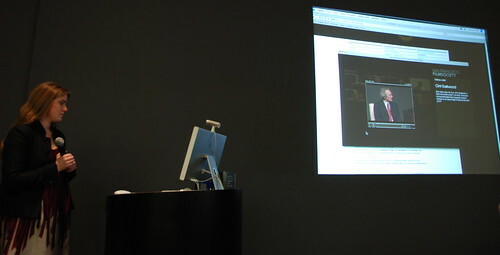 Deerhoof performed with a program of Harry Smith's animated films. The documentary, produced by the Harry Smith Archives, screens four times starting on April 27th at PFA. It is also available as part of the Harry Smith Project (but don't miss the chance to see and hear it in a theater). Notes to a Toon Underground is a program of animated films accompanied by 11 musician including Jason Lytle (Grandaddy) and Jamie Stewart and Caralee McElroy (Xiu Xiu). It takes place at the Castro on Saturday, May 5th at 8:30 pm. Kimberly Chun writes in the Guardian about animator Kelly Sears. 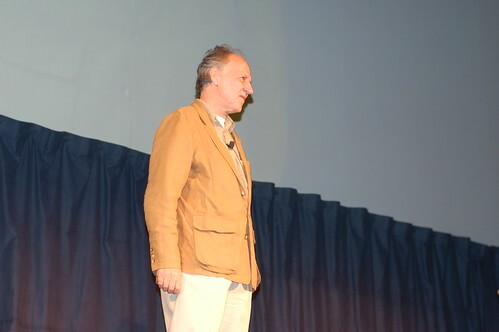 Guy Maddin received the Persistence of Vision award last year (this year it goes to Heddy Honigmann). He returns with Brand Upon the Brain! which will feature live music led by Beth Custer and narration by Joan Chen. It screens on Monday, May 7th at 8 pm at the Castro and is co-sponsored by the San Francisco Silent Film Festival. I hope against hope I may quell all their trepidation. Silent film is arid, they fear. Silent film is corny, they fear. Silent film is slow, stale and black & white, they fear. The possibility of a glute-deadening boredom is what preys on their minds most. So I have recruited allies for what I like to call “boredom insurance”: live orchestral accompaniment (always good for securing the audience’s goodwill) playing an original wall-to-wall score; a narrator of exquisite Scanditalian flutiness in the person of Isabella Rossellini; three Foley artists producing more than 600 live sound effects; and an authentic castrato from Winnipeg who can produce the most unearthly and unlikely warblings from within his roughly hewn, adult and completely hairless torso. All of them will be visible to the audience as silhouettes feverishly working to cast out their night sabbath spells from the stage directly in front of the unspooling images of my misbegotten film. I’m counting on a supernatural fusion of these live elements and the ghostly projections to supply the spark of life that will re-animate silent film once and for all and make believers of the skeptics. Please pray for my soul! S.T. VanAirsdale discusses the narrative feature film, "Vitus" with director, Fredi M. Murer and young piano prodigy turned lead actor, Teo Gheorghiu. There are many more music related films and events, but I'll just mention the delightful Vitus which plays on Sunday, May 5th at noon at the Clay (the video above is an interview with the director and star). The San Francisco International Film Festival opens Thursday night at the Castro and runs through May 10th, but the celebration of the festival's 50th anniversary began earlier this year with a launch of a website devoted to the history of the oldest film festival in the United States. In March, sf360 editor Susan Gerhard, creative director Miguel Pendás, photographer Pamela Gentile, and History Project Coordinator Jennifer Preissel gave a presentation on the site at the Apple Store (more photos). It is possible to search for any film or guest, and there are Great Moments stories on Les Blank (who is showing All in this Tea this year), Jack Lemmon, Jack Nicholson, Mary Pickford, Abbas Kiarostam, The Talking Heads, and many others. 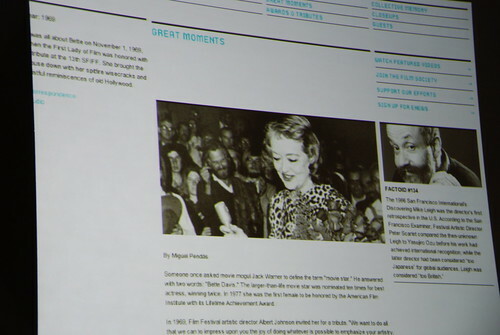 The story on Bette Davis includes a PDF of her letter to the festival which includes her suggestions for film clips (with a brief comment on each movie). There is an MP3 of Davis, and more MP3s of other guests in the Closeups section. There are also videos (a player is linked from the the Closeups section). There are short clips including last year's sold out tribute at the Castro to Werner Herzog, and an excerpt from Tilda Swinton's State of Cinema address (the full text is online - this year Peter Sellars is giving the address on Sunday at 4 pm at the Kabuki). this year for the documentary short Golden Gate Awards), Pie Fight '69. The Our History section includes oral histories from Jerry Mander (author of Four Arguments for the Elimination of Television and a publicist for the fest in the early sixties), Jeannette Etheredge (the owner of Tosca Cafe), and others. Etheredge is scheduled take part in a special edition of the Porchlight storytelling series, Five-O: Stories and Images from 50 Years of the SF International at the Kabuki on Tuesday, May 8th at 6:30 p.m. People can contribute their own stories about the festival in the Collective Memory section of the site. There will be more stories and history during The True Story of the World: On the Road at 50, at the Kabuki on Monday, April 30 at 6:30 pm. Peter Coyote, Diane DiPrima, and Michael McClure will discuss Kerouac's book which was published the same year the festival started. The Chronicle has a page which includes Ruthe Stein's short pieces on each year of the festival and other coverage. 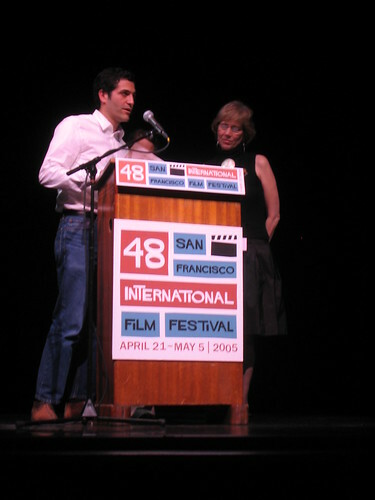 B. Ruby Rich (who talked about the importance of film festivals in her 2004 State of the Cinema address) interviewed the festival staff about the history of the fest for sf360.